Do You Enjoy Pushing Yourself? What did you do this last weekend? I spent the whole weekend at a Masters swim meet. Sounds super fun doesn’t it. NOT. I almost didn’t go, but my husband was going to be away, and I figured instead of a weekend at home, my daughter and I could take a trip to Boston. She could play with her cousin, and I could go to the meet. Even still, multiple times I wondered why I bothered to drive to Boston, arrange childcare for the whole weekend, and then spend my precious days off in a pool room. Truthfully, I have thought about going to this meet for years, but it never worked out for me to go. Or I never wanted to commit to three days away from my family to do it. I consider myself a swimmer. Swam in high school and college. I dabbled in master’s swimming as an adult. Enjoyed the practices, went to a few meets about ten years ago. Then the practice times changed, and it was harder for me to get there. And, as I mentioned, with a young child, it never seemed to make sense to take the time to go to any meets. Last fall I decided to focus more on swimming. I have had some issues with fitness and overtraining. Of all sports or fitness programs, swimming is what I know best. I thought it would be a good place to start as I tried to figure out what kind of fitness regimen was going to work for me. I planned to swim at least three times a week and entered some meets. It was more than a little depressing to see how much slower my times were, even from ten years ago. But I wanted to have some gauge of where I was at and something to shoot for. I decided to enter a regional meet in Worcester, MA last December. I thought I had been swimming enough and that my fitness had recovered enough so I could expect to improve on my times. I was wrong. I performed terribly. More importantly, I felt tired and worn out. I was gasping for air on virtually all of my races. It was so disappointing. I wondered if my breast cancer medication (tamoxifen) was interfering with my ability to improve. Or, in addition to forcing menopause upon me, did chemotherapy do some damage to my heart and that’s why I was so winded. Not that I could do anything about those things. So I stopped thinking about the things I could not control and instead considered what I could do differently. I decided to make some changes. I did not have more time for working out. Instead, I needed to work out smarter. I changed my swim workouts a little and added more consistent strength and conditioning (CrossFit). Seems to have worked. In fact, I think I spent less time working out in the last few months. Another reminder that more is not always better. I know I spent less time swimming which was another reason I almost didn’t go to the meet. I figured how could I expect to swim faster when I haven’t been swimming much. I didn’t want another example of my aging body and declining fitness. But then I decided I’ll never know if the changes I made are making a difference if I don’t test it. If I wait until I know I’m in great shape to go to another meet, I’ll never go. So I signed up. Not right away, but within a few days, I started to regret my decision, started doubting myself. Why am I doing this? I kept asking myself that question, without a good answer. When I arrived at the meet on Saturday morning, I sat in my car for a few minutes to wrap my head around swimming and the meet; and, to try to answer why I am doing this. It’s supposed to be fun, right? Yes. Pushing yourself is fun. Get out of your comfort zone. See what you can do. And it was fun, because I did well. For this meet, I felt strong. I wasn’t winded. I performed well in all of my events. So different from the meet in December. However, it is because of the meet in December, and my crappy, disappointing results, that I made changes which produced better results. If I didn’t go to the first meet, I wouldn’t have known I needed to do things differently, and if I didn’t go to the second meet, I wouldn’t know that it worked. So that’s why I compete. Pushing yourself is fun. It’s fun to see positive results. Clearly not all results are positive, though. But better things can come from disappointing results. Poor or mediocre results are not that fun, but are useful nonetheless and can be the reason for success down the road. Put yourself out there. Be a little (or even a lot) uncomfortable. If you fail, learn from it, make a change and come back to try again. You’ll either enjoy the ride or learn something, and that’s a win-win. Been Diagnosed With Cancer – When Do You Start To Exercise? A 5 minute walk around the block a day to start your regime. Next week aim at 10 minutes a day. The week after aim at 15 minutes. Before you know it, you have a larger endurance capacity, more energy and vitality again. Believe you can do it, because you can. About David Mizrahi: David currently works as a Clinical Research Associate at The Sydney Children’s Hospital. David is an Accredited Exercise Physiologist and received a Master of Science from the University of New South Wales. Advice For Contacting David: Interested in consulting with oncology patients, as well as setting up exercise-based programs in hospitals and oncology clinics. Contact me for more information – E: d.mizrahi@unsw.edu.au or M: 0404177629. By: Aaron LeBauer PT, DPT, LeBauer Physical Therapy. Unknown to most people, physical therapy can play a role in the treatment of breast cancer. Depending on the severity of the disease, extensive chemotherapy and sometimes surgery may be required. Following treatment, patients feel drained and worn out and may feel pain and tightness across the chest, have limited range of motion in the arms, shoulders and neck. This can lower the patient’s quality of life by significantly affecting day-to-day function. Physical therapy helps with pain management, range of motion and muscle function. In fact, the American Cancer Society strongly recommends a structured exercise program and physical therapists are uniquely qualified to assess the need for, plan and implement such a program. Broadly speaking, the role of the physical therapist in breast cancer can be divided into two parts: input immediately after surgery, and long term care input. Breast cancer surgery not only involves removal of the affected breast tissue, but can also include the nearby lymph nodes and some blood vessels as well. Surgery can contribute to adhesions in the connective tissue, cording in the armpit and restricted motion. Manual therapy, Myofascial Release and exercise facilitate healing and help restore function in the affected side. As soon as pain subsides, the physical therapist can help increase range of motion, decrease pain and encourage muscle contractions. Physical therapists will prescribe and teach certain self-treatment, stretching and strengthening exercises for surrounding joints like the shoulder and elbow to maintain mobility and muscle function. Breathing exercises allow for increased expansion of lungs and movements of joints in and around the rib cage. Postural precautions (not sleeping on the side of the operation for a few days for example) may be provided by your surgeon. The prevention of swelling in the lymph nodes (lymphedema) reduces levels of fatigue, helping patients to remain active. A physical therapist can help patients regain confidence, improve lung capacity, move without pain, remain physically active and live happy, healthy and productive lives. This is achieved using a combination of exercise therapy, manual techniques and home exercise programs. Patients may also be asked to participate in group exercise activities involving othe cancer patients. A social environment is a good way to promote rehabilitation and allow the patient to recover in a relaxed and comfortable environment. If you are experiencing any pain, tightness, cording, neck or shoulder problems or feel fatigued, call a physical therapist to schedule an evaluation. In almost every state you do not need a referral for physical therapy and should call the physical therapy practice of your choice. You can get recommendations from your friends, family, physician and use the interenet to find a physical therapist in your area. If you have any questions about whether physical therapy is right for you, reply to this email and we are happy to answer your questions. Your physical therapist will teach you a gentle, progressive exercise and self myofascial release treatment program and will encourage you to work within your pain limits. Never push yourself to the point of sharp or shooting pain. Always take long, deep breaths, and never hold your breath while exercising. In the first few weeks of recovery, it is recommended to exercise with the guidance of a physical therapist. Physical therapy plays an important role in the road to recovery for patients with breast cancer. Give us a chance to help you, and we’ll show you everything we can do to change your life. 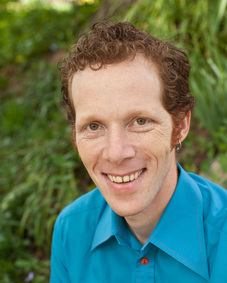 Dr. Aaron LeBauer is a Doctor of Physical Therapy and Licensed Massage and Bodywork Therapist. He owns LeBauer Physical Therapy, LLC, with his wife Andra, in Greensboro, N.C. He earned his Doctor of Physical Therapy degree from Elon University in 2008. Dr. LeBauer graduated from Duke University in 1996 with a B.A. in History and moved to San Francisco where he studied Massage Therapy and Health Education at the National Holistic Institute. He has specialized in Myofascial Release since 2000 and is an Instructor with the John F. Barnes MFR Seminars. A native of Greensboro, Dr. LeBauer returned in 2005 to continue the third generation of LeBauers as health care professionals in Greensboro. By Diana Ross, ERYT 500 Founder of Breast Cancer Yoga. Seated poses are valuable in the support of breast cancer treatment and recovery. Exercise is not only safe and possible during cancer treatment, but it can improve how well you function physically and your quality of life. Begin on padded surface for feet and knees. with hips and knees parallel but wide on the yoga mat or padded surface. Place yoga block or bolster under hips if uncomfortable. Don’t let feet sickle (turn in) and have souls of feet facing up. Stretch calf muscles back to create space and open knee joint. place another prop under your seat. Now begin placing small pillows/folded blanket under knees to raise the knees up. As ankles begin to open; the pillows can be replaced with yoga blocks and move to the next level. Stay in pose 5/10 breaths. When finished INHALE come forward in CAT and Tuck the toes under. EXHALE, stretch right leg back tucking toes underneath. INHALE, return right leg back. EXHALE, stretch left leg back tucking toes underneath. INHALE, return.